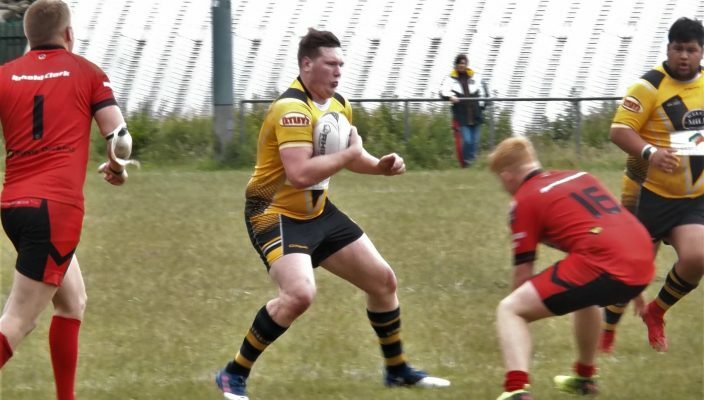 LEIGH Miners Rangers made it eleven wins on the bounce as they secured yet another last-gasp victory away at fourth-placed Milford. The Leeds outfit had given Miners a stern test in the Twist Lane encounter a month earlier and this was another tremendous tussle on the 3G surface before Miners picked up the priceless two points with a try in the closing minutes to move ever closer to an immediate return to the Premier Division. There is still much work to be done of course and with pivotal games against nearest challengers Thornhill and Lock Lane in the weeks ahead August will be crunch time but if Miners can continue to show this spirit and determination they will surely achieve their goal. with time running out. In truth a draw would have been an admirable result given Lock Lane succumbing to a second successive defeat but the late try ensured both points and put Miners five points clear in second with six games remaining. Tries came from halfback pairing Craig Ashall and Scott O’Brien, Jake Lloyd and Joe Digby, Jack Reynolds with four goals. Next up for the Miners, after the 25th July friendly challenge v RAF, is Lock Lane on 4th August on a day when the club celebrates its 52nd anniversary with a reunion of the Leigh Miners v Leigh teams from the 1979 and 1994 cup ties. All past players, supporters and volunteers are welcome to the free-of-charge pre-match reunion and Q&A session which starts from 1pm. The game is a 2.30pm kick off.